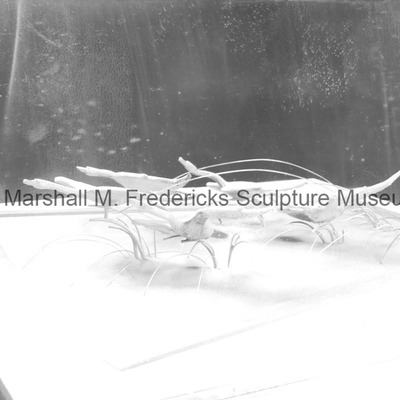 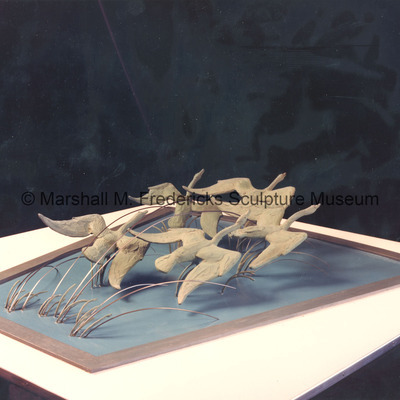 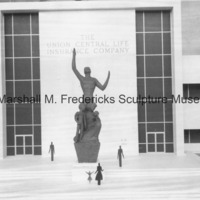 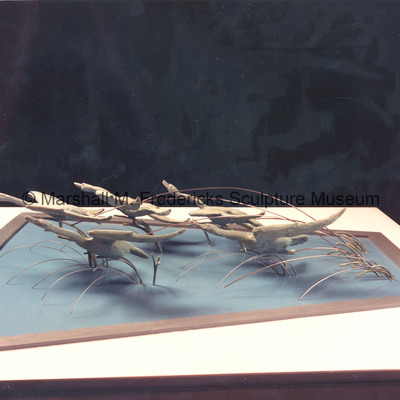 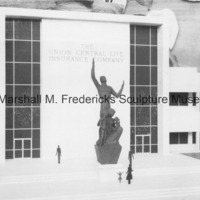 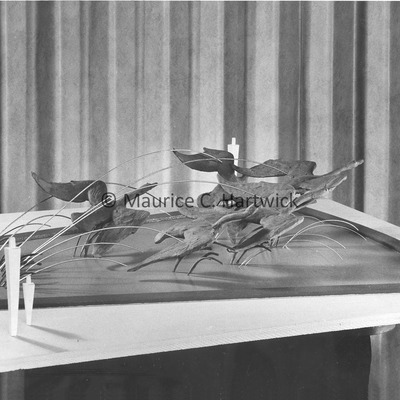 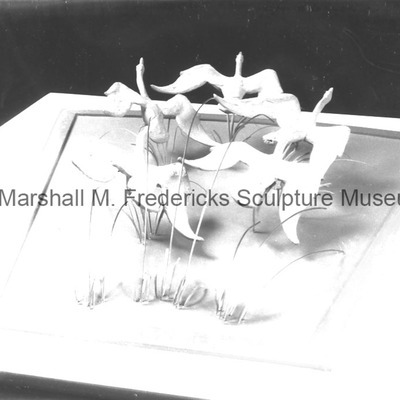 Plasteline model of sculpture for the Union Central Life Insurance Company in Cincinnati, Ohio. 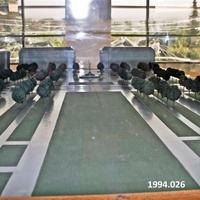 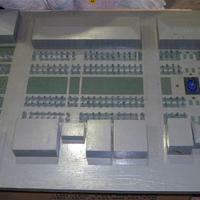 Plaster, wood and metal site model. 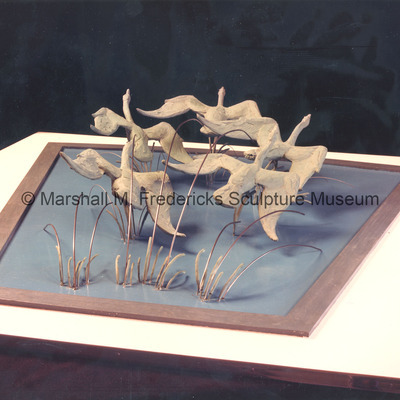 View of the site model for "Five Nordic Swans Fountain"
Side view of the site model for "Five Nordic Swans Fountain"